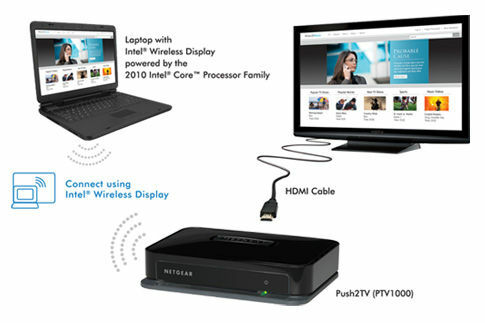 Netgear has launched its popular Push2TV device in India, which by using Intel’s WiDi (Wireless Display) technology enables users to wirelessly transfer video data from their laptop to their HDTV. The company showed off the technology at the first of the Intel Channel Conference events, in Mumbai, along with their latest N routers and access points. The Netgear Push2TV device is supposedly an easy-to-use TV adapter that receives a wireless video stream from your laptop, and transfers that via HDMI or Composite cable to your HDTV, allowing you to view whatever is on your laptop’s display on your large screen television. The device, while dreamlike in its function, has a limitation: it only works with Intel based laptop PC. While response of the product demonstration at ICC was great, Netgear has yet to reveal the product’s price, saying that it's only available on request. 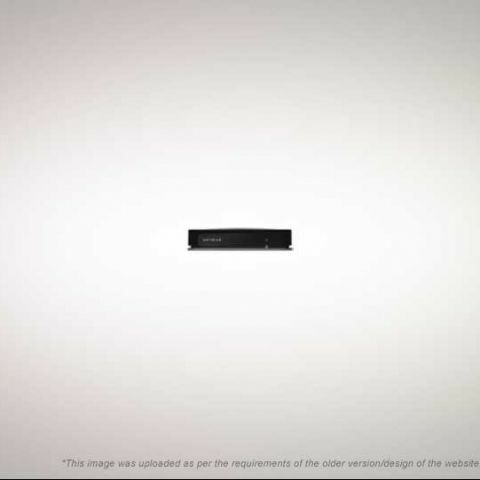 As for availibility, the product will release by August 2010 in India.